One of the most common health hazards in the workplace, noise can have a wide range of impacts on our health, safety, and well-being. Noise can be annoying, disruptive and stressful. It can also risk our safety if signals, speech and machinery can’t be heard. Noise can result in hearing impairment and even permanent hearing loss. 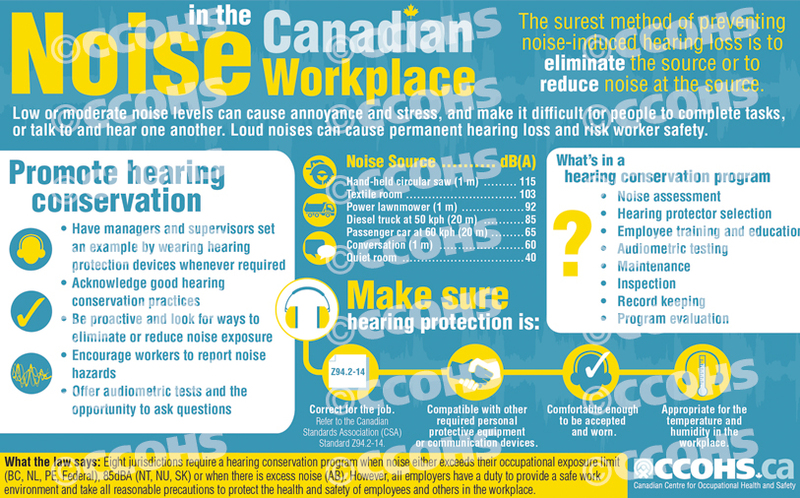 Share these cards throughout your workplace to increase awareness of the importance of hearing conservation and how employers can be proactive about preventing hearing loss. These information cards are printed double-sided, with English on one side and French on the other, on sturdy card stock with a UV coating for added durability. Note that a minimum order of 10 cards is required.